Worldwide, millions of people use the dangerous substance that is cocaine. Cocaine is a drug, that stimulates the receptors in your brain. Cocaine also tends to be very addictive. The addiction has killed many people worldwide and will continue to. If you have developed a cocaine addiction, your life is in danger and you should decide to quit using it. Do you struggle to quit? Ocean Recovery’s Cocaine Rehab program can provide you with the best chance of beating your addiction. What is Cocaine, and where does it come from? 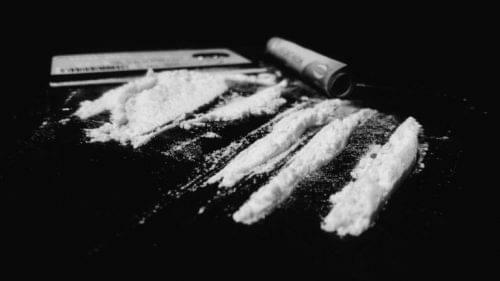 Cocaine has a very long and well known history. In fact, it is known to be one of the oldest stimulants humanity has known. There are indications that cocaine had been used as a stimulant nearly 7000 years ago in South America. Cocaine comes from the coca-plant that only grows in Western South America. Coca leaves were chewed as medication – it would help with altitude sickness. It was discovered in Europe and the United Kingdom in the 19th century and also considered as a medicine. A German doctor extracted the working substance out of the drug. Only early in the 20th century, it was found out to be as addictive and dangerous as we know it. In 1920 the U.K government bans it under the 1922 illegal drug act – and that has never changed in the near 100 years after. Cocaine Rehab: what makes Cocaine dangerous for your body? For many people, it seems like a harmless drug that you can casually enjoy on a night out. However, what cocaine can do your body is often not mentioned enough. The brain will become damaged from cocaine – this will lead to making the most out of the issues dealt with Cocaine causes a short-lived yet intense high. The effects of cocaine will reach their peak in 30 minutes, and the total time the effects of cocaine are active is about one hour. However, after that hour, the feelings of happiness, self-appreciation and total euphoria will completely flip towards the other side of emotions. The working substance in cocaine effects a part of your brain that produces dopamine and serotonin. These are the two chemicals in your brain that regulate your mood and happiness. After using the drug, your brain will produce more serotonin and dopamine. In fact, the drug will boost the dopamine in serotonin – and in return, after using the drug your body will stop the production of dopamine for a short period of time. The feelings of worthlessness that oppose the boost of the dopamine production after ingesting cocaine last a lot longer than the happiness after taking the drug. This leads to a chemical imbalance in your brain, this could cause depression in the long term. Still, think it’s a harmless drug? If you struggle to get clean, contact our admissions team and start your cocaine rehab program now. The nose is another part of your body that will feel the effects of prolonged cocaine use. Cocaine is often snorted. Many cases of perforated septa have been reported due to extensive cocaine usage. Repeated use of the drug can cause a hole to appear in your septum. Trouble breathing and blood discharge are often named as the main symptoms. Cocaine has been branded the ‘perfect heart attack drug’ by a researcher from the University of Sydney. It has a strong effect on the heart and the vascular system. For many recreational users, the feeling that your heart is beating too fast is very relatable. The fast beating of your heart can lead to narrowed blood vessels and thicker heart muscles – those are often the result of repeated cocaine use and can lead to heart attacks. This is another reason you should attend our cocaine rehab program, contact us now on 01253 847 553. Cocaine Rehab: How does It work? Have you realised that Cocaine Rehab is the right choice to get the help you need to stay clean? We welcome you in joining our Cocaine Rehab program, which is available in our Blackpool centre. We have helped cocaine users stop taking the drug, not only in the local area, but from all over the United Kingdom. We can help you get clean with our 28 day-programme, adjusted to your wants and needs. The first step is often Detox. The Detoxification process is the process of clearing your body from toxins like cocaine. The withdrawal symptoms can be quite intense as cocaine is a hard drug to detox from. but it is generally seen as less hard to withdraw from compared to Alcohol and Heroin. It is also seen as less dangerous the other two drugs. Often reported withdrawal symptoms are a lack of appetite, nausea, and serious mood problems. However, these are still issues that could lead to lasting damage. That is why it is important for you to complete rehab at an inpatient facility. We have medical specialists who can help you 24/7 in the case your health deteriorates. The rehab clinics that work with our Cocaine Rehab service will also look at the source of your addiction. The post detox service is done via out client treatment and will help you find ways to deal with stress, without reverting to damaging habits. This is achieved through different therapies such as Cognitive Behavioural Therapy CBT which is designed to understand the behaviour and thoughts that could be directly linked to your addiction. Once we have an idea on what those thoughts are we can then start to break them down and discuss what the best action is when you are faced with these thoughts and behavioural patterns again. CBT is used to treat many mental health conditions such as depression and anxiety, along with substance about. Due to the strong links between drug abuse and mental health we believe the use of phycological therapy can play a big part in healing your drug addiction. Along with CBT, you will also take part in group therapy sessions where you will talk about your addiction recovery with people who are going through the same experience. At first, this can seem like a difficult task, getting up and speaking to an audience of people is never easy, but talking about your recovery experience to people who are taking part in the same journey can be a great help as it lets you know that you are not alone. 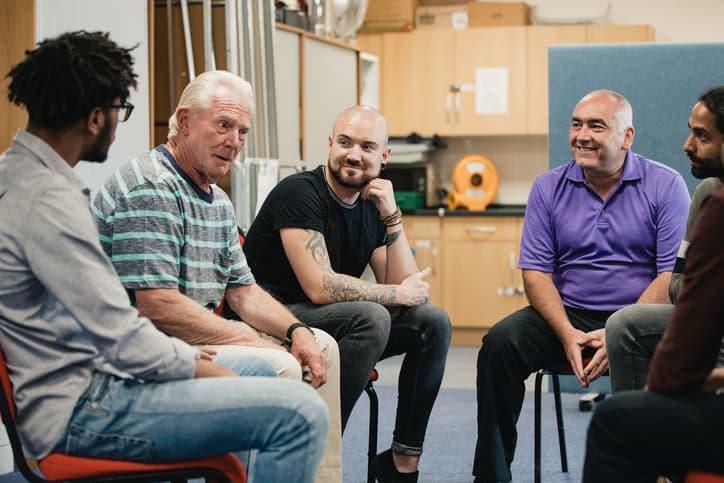 If you would like more information about our support groups or if you would like to talk about our drug rehab programmes then please get in touch with our admissions team today on 01253 847 553. Why Choose Ocean Recovery Centre? At Ocean Recovery, we have a wide range of treatment options available to people suffering from cocaine abuse or substance abuse in general. Our team of addiction specialists can provide treatment services that can produce the most effective treatment for cocaine addiction. If you are addicted to cocaine and would like to enquire about cocaine rehab then please get in touch with our admissions team now on 01253 847 553. What is the difference between Rehab and Detox? Detox is only a part of the rehab process. The goal of rehab is to become clean and drug-free, and detox is the first step towards a better life. During detox, you remove all drugs out of your body by abstaining from it. We advise strongly against full-outpatient rehab in the case of heavy cocaine addiction. Often addicts need to be taken into protection against their own good. Addiction often alters your ability to make the right decisions, and if you have an urge to use cocaine – it’ll be hard to say no without the right guidance. We offer inpatient rehab services for 28 days – and in some cases even longer, but after care could take up to year. From regular visiting for therapy sessions, to reiki and other holistic therapies : we offer a complete package.